It is a framework which have several integrated tools and services . As name says it is used to vulnerability assessments and providing vulnerability solutions. OpenVAS products are free software but most of its components are licensed under GNU and GPL (General Public License ). Now follow the step one by one . Authentication (pass/cert ) : Just press enter here . Contratulation User is added now . Goto Backtrack > Vulnerability Assessment > Vulnerability Scanners . OpenVas > OpenVAS Mkcert . Your location (e.g. town) [Berlin]: Here you can enter your town name or simply press enter if not interested . Your Organization [OpenVAS Users United]: [ press enter ] . To check the problems with openvas . If there is a problem it will display on your screen. From the menu of openvas , when you open the Openvas check setup , it will not shown anything . As shown below . To run check setup , you have to go inside the /pentest/misc/openvase . From here you can run the openvas-check-setup as it is shown in the below image . Now time to run openVAS scanner . Goto > Backtrack > Vulnerability Assessment > Vulnerability Scanner > Openvas scanner . 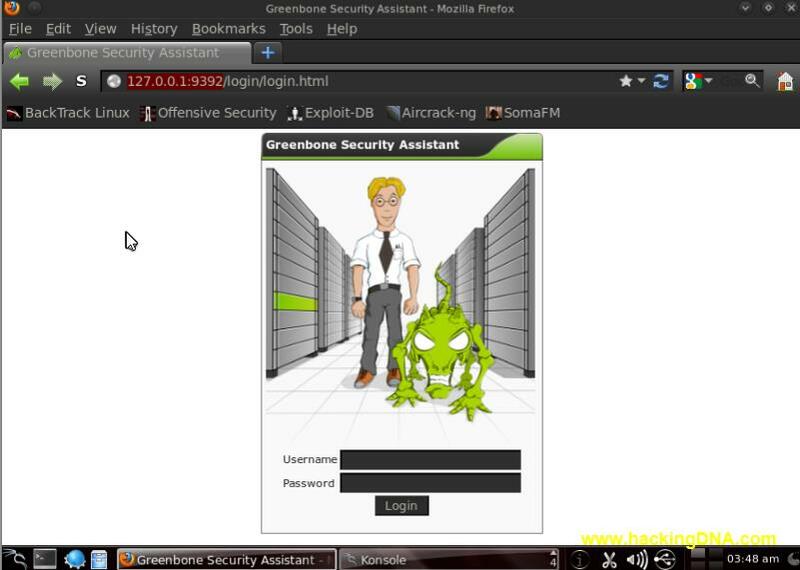 From openvas manager we are going to create client certificate for the manager . First open the openvas manager . 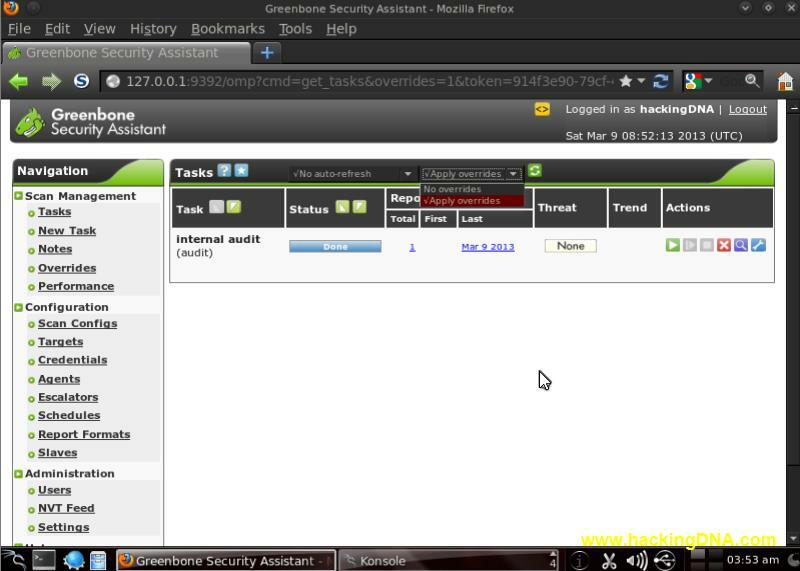 Goto Backtrack > Vulnerability Assessment > Vulnerability scanner > Strart OpenVAS Manager . Because of the new cert entry , we have to rebuild the database again. 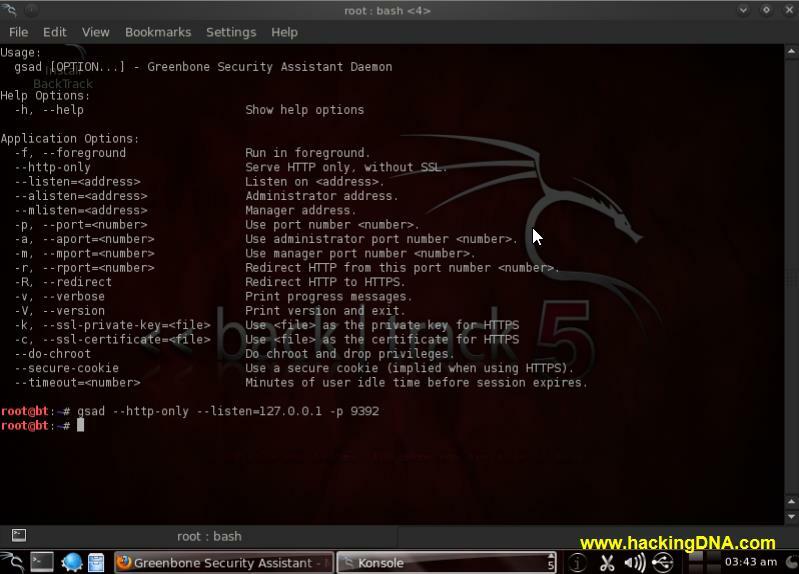 Open new terminal and enter the command given below . Backtrack > Vulnerability Assessment > Vulnerability Scanner > OpenVAS> Start Openva Administrator . You can use your own name too instead administrator . Now again you have to start the OpenVAS Administrator enter the following command . Open greenbourne security assisstant . 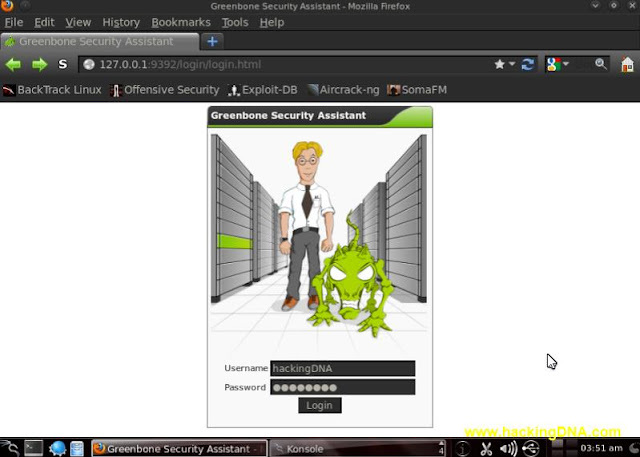 See the below image for how to open greenbourne security assistant . IF YOU SUCCESSFULLY REACH HERE THEN YOU MADE IT . NOW THIS IS HOW WE HAVE TO SETUP OPENVAS ON BACKTRACK 5 KDE . 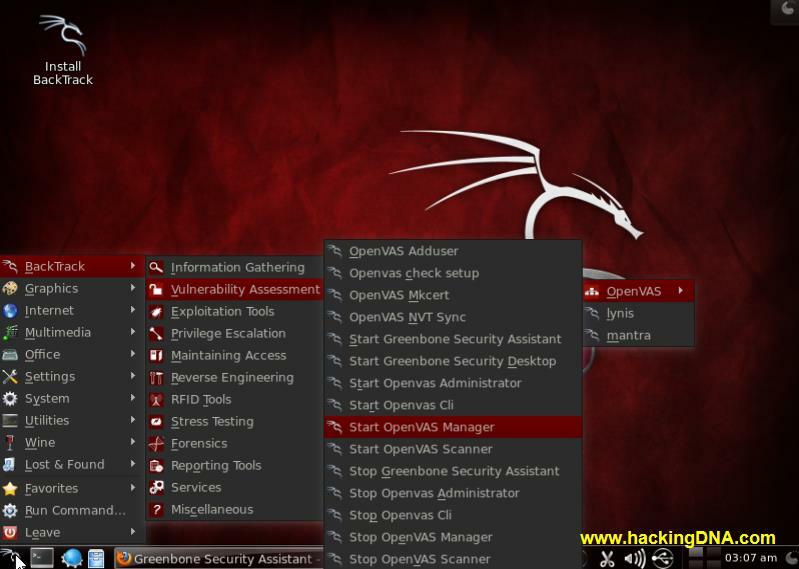 NOW OPENVAS IN YOUR HANDS , USEIT SAFELY . sir i love your trick and please tell me how i get network password or server password username.??? check your wireless card is on or not.